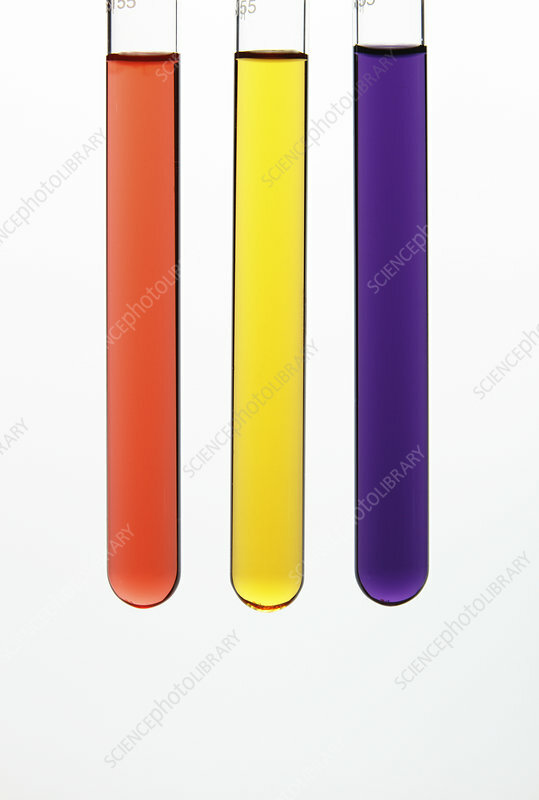 Universal indicator added to three test tubes containing different solutions (left to right): diluted hydrochloric acid (acidic), distilled water (weakly acidic) and diluted sodium hydroxide (alkaline). Universal indicator changes its colour depending on the pH of the solution. Red indicates a strong acid, yellow/orange indicates an acid, green is neutral, blue indicates an alkali, and purple indicates a strong alkali.